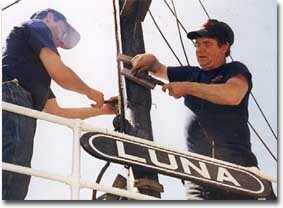 The Luna Preservation Society welcomes and needs volunteers to help in various capacities. Call or e-mail Howard (617-282-1941) to see how your special skills will help out. Do your part to save a National Historic Landmark! Liaison with junior and senior high schools on various historical and shop projects.